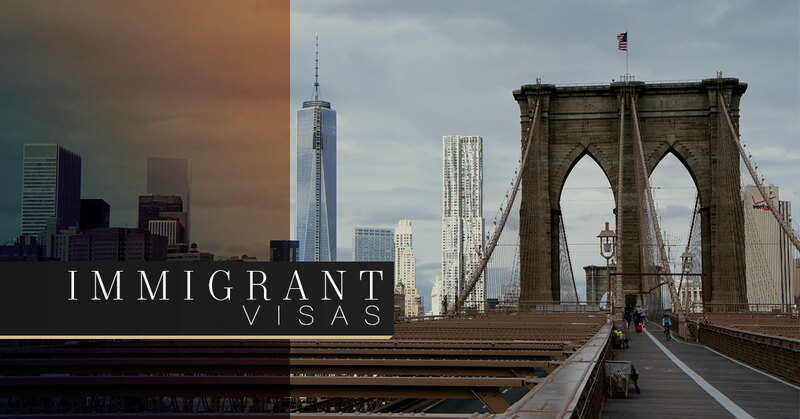 Our law office is New York’s Top Rated Local® Legal Service for applying and going through the process of immigration visas as well as handling with other immigration services. Our immigrant lawyers are able to assist you with going through the legal procedure to obtain an array of different types of visas to stay in this country or just to visit for a lengthy period. What sets us apart from other law offices is that we are dedicated to helping you through this process to ensure you are able to stay with your loved ones in America or move here to start a new life. When you come to a new country, you have to apply for a visa. Even if you’re not looking to stay in this country, it’s vital that you apply for an immigration or a nonimmigrant visa. If you’re a tourist or a student, then you’d apply for a nonimmigrant visa, which we can also help you do. If you’re coming here for business or to live with family, then you’d apply for an immigration visa. In the United States, you need to go through a certain process so you’re able to come into this country. Even if you just want to come visit for a lengthy period of time, you’ll need to get a travel visa. As a foreign citizen coming into the U.S., you usually have to either be sponsored to get a visa or you need relatives who live in the country who are lawfully permanent citizens. In addition, you can be sponsored by a U.S. run business and thus apply for a petition and then a visa. The process isn’t an overnight type of procedure. You need to petition, apply for a visa, and then either you are granted or denied an immigration visa. There are many different types of immigration visas that range from fiancé(e) visas, to studying abroad. If you don’t see the visa you’re looking for on this list, then take the time to contact us and we can provide further information on the best strategy to help you stay in America. The number one way our law office is able to help you is by assisting you and your family in obtaining the proper immigration visa for your situation. Our immigration lawyers have your best interests in mind because we want you to succeed. Our law office is here to protect your rights as you legally obtain an immigration visa. We are experienced, skilled, and dedicated to you and your family. We will schedule a one-on-one consultation with you to strategize the best path for you. Our immigration lawyers have integrity, are driven, and will examine your situation thoroughly to ensure your legal status is the one you and your family want. We will expertly represent you and will assist you in reaching your goals, whether that means an immigration visa or a nonimmigrant one. If you’re interested in taking the first steps toward becoming a citizen of the U.S., then contact an immigration lawyer by filling out the form below to learn more about immigration visas.